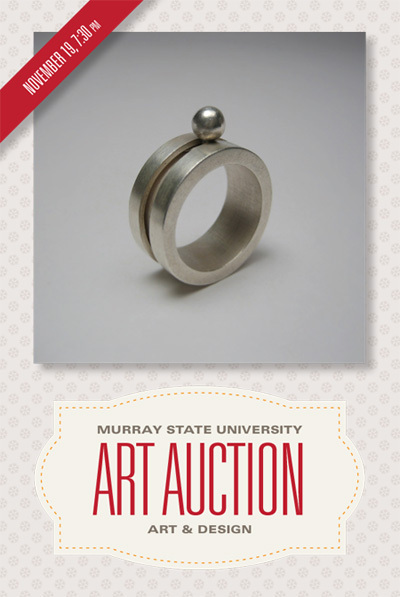 The Annual Fundraiser at Murray State University, supporting scholarships and student education. The objective was to be modern, reflective of the art that would be available in the auction, and also have a subtle holiday feel. Project: Rebrand, posters, postcards, banners.